Movi cinema robot has been ready to turn your smartphone into a powerful storytelling tool. Cool? Let’s go on for the smartphone video stabilizer. 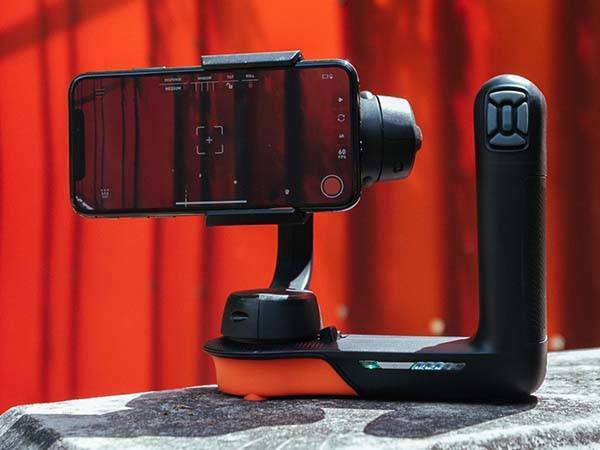 The Movi is an advanced and flexible video stabilizer that works with iPhone, and its Android app will be released in September this year. 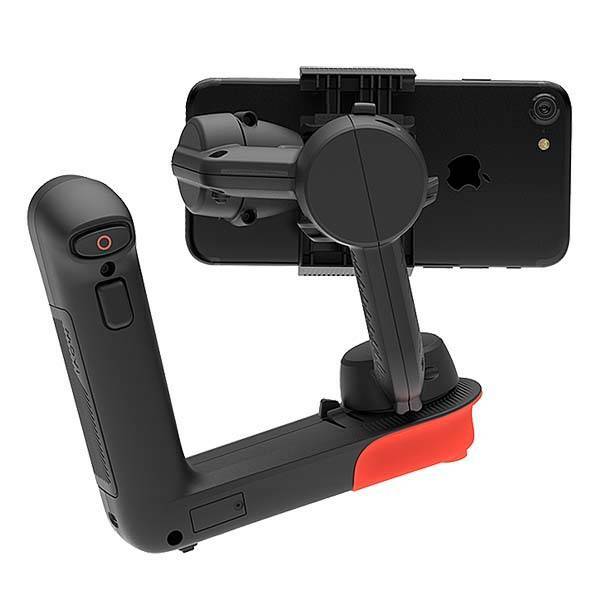 As we can see from the images, the smartphone gimbal shows off a compact L-shaped form factor, and the ergonomic handle with matte finish lets you comfortably and firmly hold it in your hand for video recording. Meanwhile, all buttons are arranged on the top of the handle for easy access. And it works with any tripod, dashboard and selfie stick using a 1/4 30 mount. 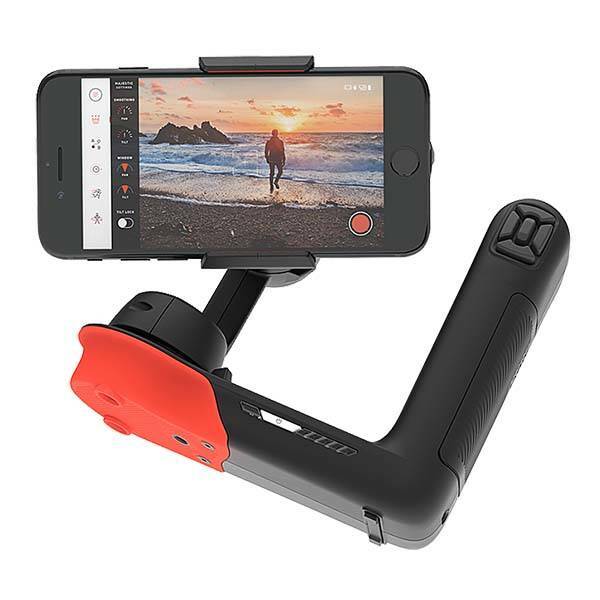 The smartphone stabilizer comes equipped with an adjustable clamp that holds your iPhone 6/7/8 or Plus version in place, and built-in Bluetooth technology allows it to wirelessly connect with your phone so that you can use its buttons to control your video recording, and its custom app allow you to program shooting methods and customize your shoots. The video stabilizer features five shooting methods. The majestic method helps you capture smooth and stable videos, the Echo method allows you to set your endpoints and the move’s duration, achieving repeatable, automated camera move, and the movilapse method lets you capture moving timelapse videos, while the orbit method keeps the shot fixed on the subject as you circle. In addition, its rechargeable battery offers up to 8 hours of usage between charges. The Movi smartphone video stabilizer is priced at $299.99 USD. If you’re interested, jump to the product page for its more details.